This was a Christmas present for my parents who thoroughly enjoyed their time and are planning to return, maybe even have a caravan rally in the area. We had a great afternoon, would recommend to anyone and everyone! 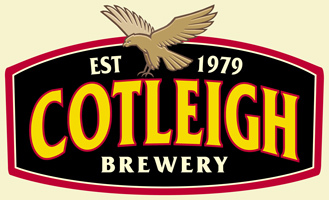 And now, would always look for Cotleigh beers/ales when buying! Love your ethics and the locality of your product. A really informative tour and great tasting session after. Great fun! Very interesting and humorous tour, keep making the beer! Very pleased with the tour. Friendly and knowledgable staff. Made very welcome. Will definitely recommend the tour to friends. Absolutely first class. 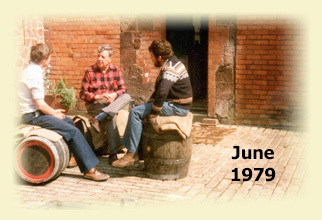 I have been on brewery tours before, notably The Old Caledonian Brewery in Edinburgh, Heineken and locally Otter. The warmth of welcome and depth of knowledge was exceptional. Thank you for a very enjoyable afternoon, as the designated driver and non beer drinker, I had a very good afternoon, the tour was interesting and informative, my husband who I had bought the tour for had a great time. My brother in law is beer mad so we will be back. Really enjoyed the laid back tour with no one rushing you places, beer was really good and I'll look out for it in the future. Thank you. Thank-you for the time given to ask questions and enjoy the tasting. The tour was unrushed, informative and interesting. Atmosphere was relaxed and friendly. Too many drivers meant that milk for a hot drink had run out, so that would be my only request. Maybe a hot drink machine as don't mind purchasing, especially as such a cold day. Shop well stocked and reasonable prices. Thank-you. The staff were extremely friendly and welcoming, and very generous with the beer tasting. Excellent ales too. They're doing a great job there and deserve to do really well - thank you for the chance to go and visit! Thank you for an excellent afternoon. My husband enjoyed the beer so much he slept all the way home!